Many thoughts and many words come to mind when we think about Easter. It’s hard for me to wrap my mind around the amazing truth that God loves me SO much that He sent his only son to die for MY sins…my flaws…my imperfections. He gave us redemption, forgiveness, grace, and unconditional love. Some of us aren’t familiar with this concept…that someone could love us that much. However you are spending your Easter this Sunday, in the midst of the amazing chocolate bunnies, delicious brunches, and pastel outfits, I want you to remember how much Jesus loves you. Maybe you’ve been a Christian forever. Raised in the church, used to the routine of it all. Don’t become immune to how incredible this love is. Don’t forget the weight of what has been done for you. On the other hand, maybe you’re not sure about the whole Jesus thing. You might be against religion. Maybe you’ve had a bad experience in the church. You might just go to church on Easter Sunday, or maybe you avoid the place all together. I want you to hear something that took me many years to fully understand and truly believe. God meets you exactly where you are. He loves you SO much, and He loves you for who you are. He loves you even if you’re unsure, even if you’re doubtful, and even if you hate wearing pastel Easter dresses. Because guess what? He loves you and accepts you for all of your unique qualities. 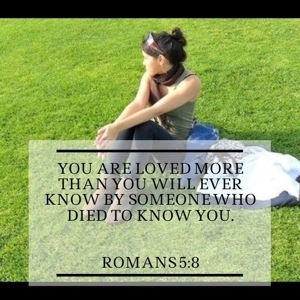 He even loves you-flaws and all-which is why He sent His son to show you the most genuine love possible. I want you to realize that while you feel unworthy, unvalued, flawed, and broken, Jesus sees a beautiful creation in you. He died for each of our sins and paved the way for us to be redeemed. We have the opportunity to be made new through that love. So, in the midst of the food, color, and fun, remember the love. Previous postWho doesn’t love FREE STUFF?! Love your heart, sweet Rachael. You always encourage me. I pray your day will be filled with love!